In an age of sustainable or responsible architecture, the rehabilitation of existing buildings is often the ‘greenest’ solution. 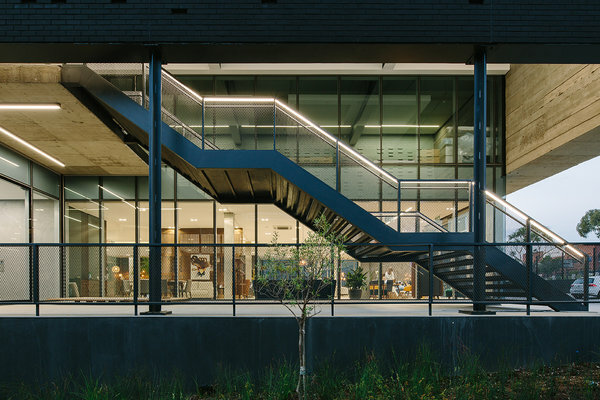 An example of this approach was the 37 Commerce Crescent renovation project in Kramerville, Johannesburg, undertaken by architecture and interior architecture company Paragon. The project was an adaptation of an existing industrial building, rehabilitated into a retail and showroom development. 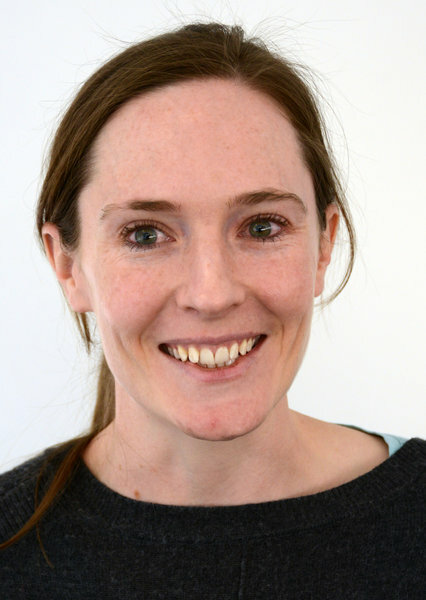 “The decision by the client to recycle the building was with merit, but did complicate the project,” Paragon Architect Kim Newell explains. The original building was a two-storey warehouse with a steel roof. During demolition, the steel roof structure was disassembled, and an additional floor added to increase the Gross Lettable Area (GLA). The roof structure was then re-installed. The result is a multi-tenanted retail space with the upper floors containing larger tenants while the lower ground level is divided up into spaces for smaller tenants. The building layout was designed so that the floor plates could be divided up to accommodate at least two tenants per floor on the upper ground and first floor. Currently the upper ground floor is let to a single tenant, but provision has been made for services and smoke-extraction systems to accommodate two tenants on this floor should it be required in the future. The larger tenant spaces have balconies for outdoor functions. Balconies on the top floor provide open-air spaces for tenant functions and exhibitions. The upper ground-floor balcony also provides a secluded outdoor retreat in an open-air setting. Newell highlights that the architectural design drew inspiration from its industrial setting. Concrete was used for the structural expansion and off-shutter concrete was used as a textured façade material. 37 Commerce Crescent is the second building to be built in the precinct. Off shutter concrete was used in the design of its predecessor, the adjoining Casarredo building, and the material will be re-used throughout the precinct to continue the aesthetic. Once complete, customers will have a unique opportunity to visit a variety of tenants in a pedestrian-friendly precinct. The use of simple, yet powerful, volumetric forms contributed much to the appeal of the building. The building materials drew inspiration from its industrial setting. The building’s simplistic envelope and the respectful approach to materiality sets up a new language for this developing precinct. The rough off shutter concrete walls of the street façades are offset against large, flush-glazed windows. Concrete allowed for extensive uninterrupted spans and large expanses of glazing, which created generous display windows facing the street, ideal for its showroom function. “We worked within a tight budget and a short eight-month construction period, but managed to transform the building. The off-shutter concrete contributes to the play of light on the facades, whether it is sunlight or the LED lighting at night. Internally large, airy spaces have been created that provide for spacious showrooms,” Newell elaborates. The detailing of the facades had economical and practical advantages. The use of face brick produced a façade structure, as well as a final finish in a single material. The brick facades where stained black to achieve the aesthetic intent while remaining maintenance free for the building’s lifespan. The brickwork is punctuated by full height strip windows which afford views of the city to the south and allow natural light into the showroom spaces. By using a traditional building material, the brick, in an unconventional way a new aesthetic is achieved. An abstract pattern, formed out of recessed bricks, which runs down the face of the building, gives the façade a tactile quality. This approach not only articulates the texture of the exterior of the building, but the interior too. The façade, when experienced from the interior, echoes an inversion of the texture. 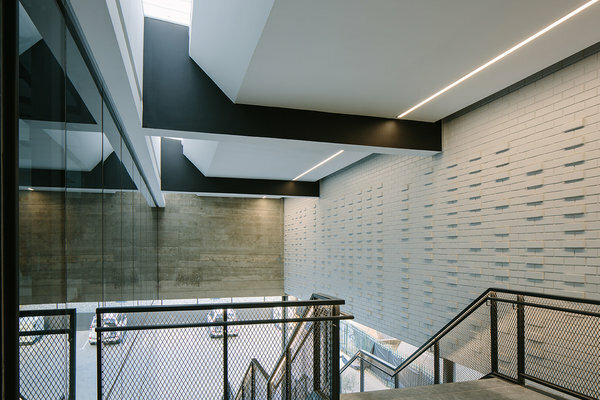 The textured brickwork is experienced internally from an industrial steel staircase in an open-air foyer lit with opaque polycarbonate skylights above. The steel staircase, which provides access to the tenants on the first floor, references another traditional industrial material used in an unconventional way. Expanded metal infill panels were used for the balustrades, with LED strip lights in the handrails. The journey up the staircase allows the user to experience the textured brickwork up close. 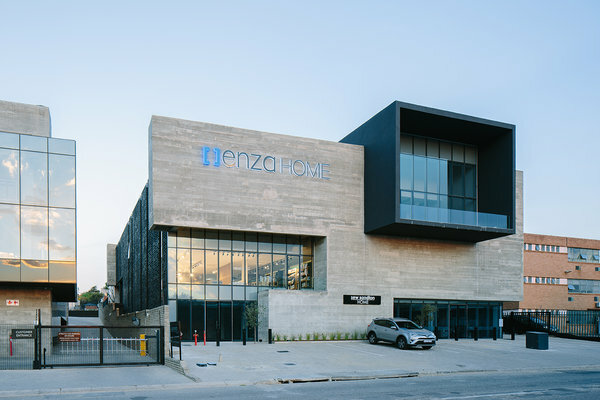 Performance glazing was used to reduce the solar heat gain on the façades, and to reduce the energy consumption costs of heating and cooling the building. Insulation installed below the roof sheeting will also reduce heat gain in summer and heat loss in winter. The concrete façades add thermal mass to the building. LED lighting was used throughout to reduce energy consumption even further. To download hi-res images for this release, please visit http://media.ngage.co.za and click the Paragon link to view the company’s press office. Paragon, established in October 1997, is an internationally-active design business, based in Johannesburg. We deliver commercial architecture, masterplanning, interior design, and space planning to visionary clients in all property sectors, from retail to residential and education. We are committed to global urban development. We are able and agile. Paragon is flexible and diverse in its approach to design. Each project is unique and not driven by style, but by lifestyle and a response to user needs. Elegant and efficient planning form the core of our designs. We understand the needs of our clients, and know how to generate ever new architectural forms in a competitive property market. We are known for hands-on engagement with all opportunities present in the modern global building industry. The true measure of our skill is our ability to engage at all levels and with all players that make up the colourful world of construction and property development. Our buildings look forward. We embrace the future, because we will be a part of it – part of its problems and responsibilities, and part of its great freedoms and achievements.